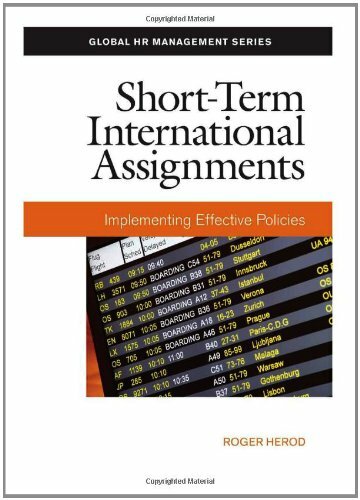 Incorporating the latest research and data on an emerging corporate issue, this practical handbook examines the key policy issues companies need to address when establishing successful short-term assignment programs. Due to the unprecedented expanse of global mobility and the desire to reduce the expense of international assignments, a significant number of companies are turning to short-term assignments as a less costly alternative to long-term assignments. Catered to busy business and HR managers looking to evaluate policies for international employees staying abroad for three to 12 months, this indispensable guide succinctly addresses such topics as employee and family status, remuneration approach, taxation, housing provisions, and transportation assistance.